A landmark building and premium business address. Each floor is 1,650m2 offering a 12m column grid and floor to ceiling glass curtain wall. Effortless collaborative spaces are key element of the building’s design encouraging movement, integration and flexible space. 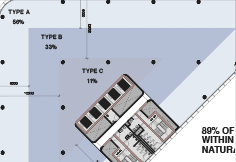 The large flexible floorplate can support an interactive team-focused work environment to meet the executive and social requirements of contemporary tenants. The 9000sqm site would accommodate 20,000sqm of offices for the ACT Government. 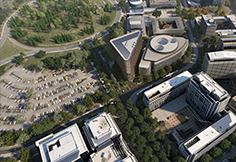 A five-storey building adjacent to Constitution Place will house 1700 public servants. 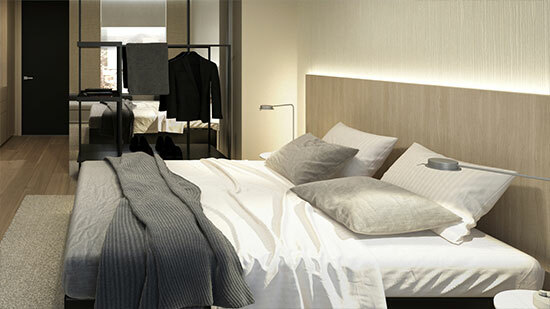 This site will accommodate the beautiful new Adina Apartment Hotel Grand. 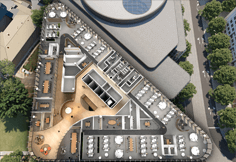 The hotel will have 132 rooms, offering guests the best of both worlds by combining spacious apartment living with hotel services and facilities. 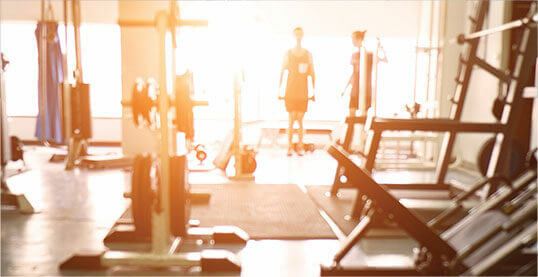 Guests will be able to enjoy a 24-hour reception, room service, a concierge service and a gym. 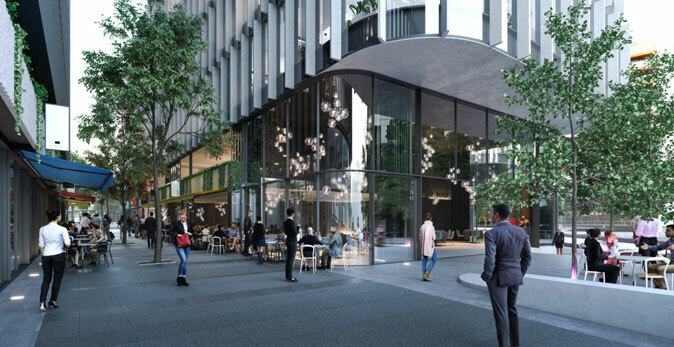 A small, exciting and innovative space which will lend real vibrancy and colour to the cityscape by offering an activated food and beverage laneway connecting Constitution Avenue with The Canberra Theatre as well as access to childcare facilities and a gymnasium. 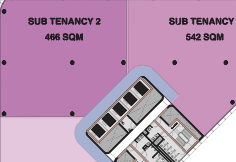 We aim to provide a space for people working and staying in these buildings – and those nearby. 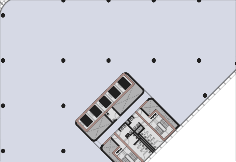 Importantly, the precinct will include a new public car park that will replace the existing car park. 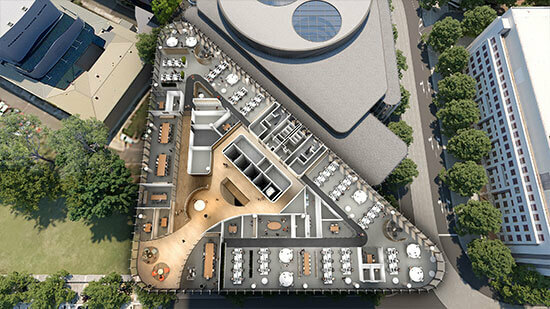 We will be almost doubling the amount of car parks with 225 public car parks as well as 300 private car parks for tenants and guests of the hotel. A landmark building and premium business address where work-life balance has been redefined. 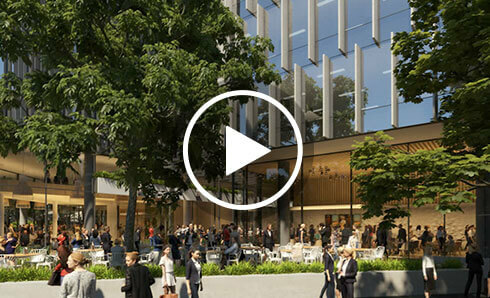 Constitution Place is a future-proof workplace where indoor and outdoor spaces seamlessly merge. Stunning lake views and light-filled contemporary floor plans enhance a culture of productivity and individual enrichment. 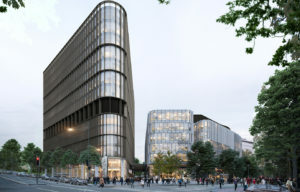 Situated on the light rail route and close to the bus interchange, getting to and from Constitution Place will be convenient and efficient. 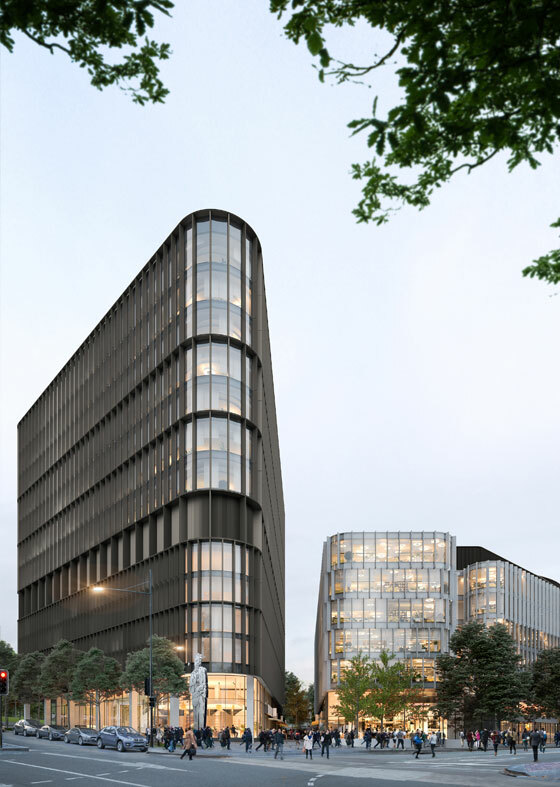 This hub will be the place where Canberra’s most talented people converge to create, innovate, rest, play, revitalise, concentrate and collaborate. 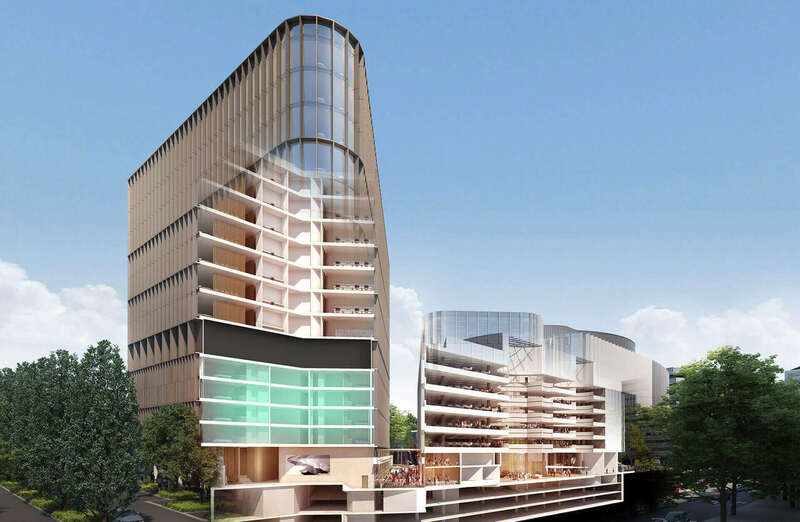 A network of fine grain public spaces will transform Canberra’s CBD. 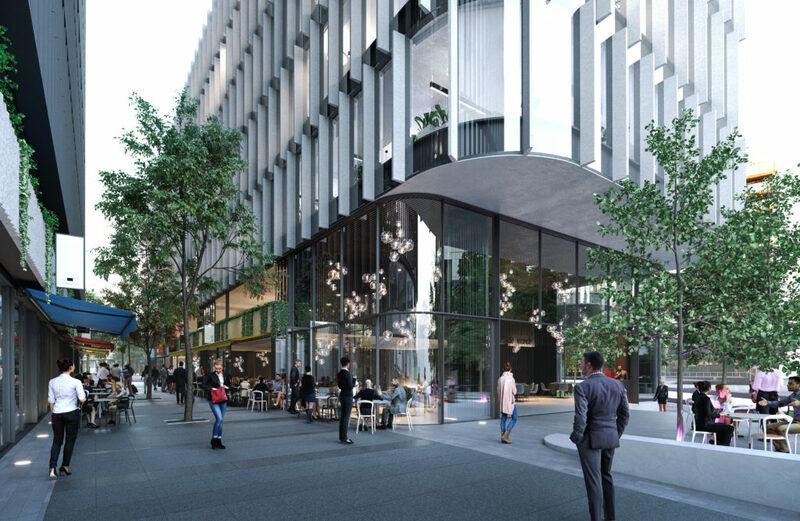 Situated on the light rail route and close to the bus interchange, getting to and from Constitution Place will be convenient and efficient. 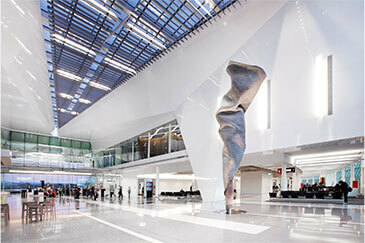 Welcome to Canberra’s new epicentre of work, culture, dining and socialising. 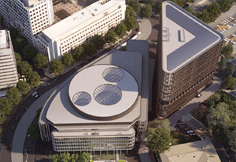 Defining the administrative heart of Canberra, Constitution Place is a location for like‑minded people to converge. 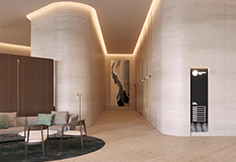 Take your place at an address that symbolises status and corporate success, developed by a winning team. 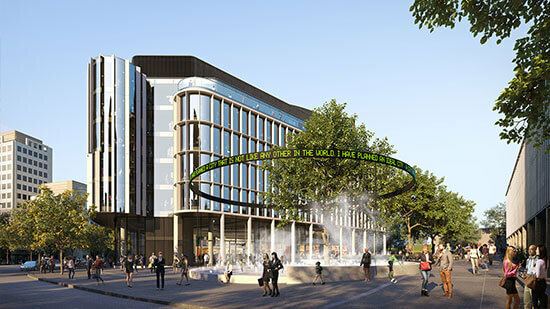 The team behind the transformation of the Canberra Airport precinct, Capital Property Group is passionate about Canberra and continuing to make it Australia’s most liveable, vibrant city. 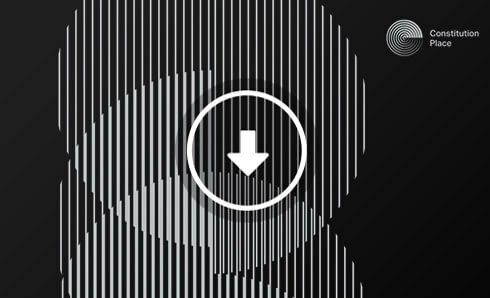 Bates Smart is a multidisciplinary design firm delivering architecture, interior design, urban design and strategic services across Australia. Their award-winning projects transform the city fabric and the way people use and inhabit urban spaces and built environments. They understand the social and economic forces currently shaping communities and their impact on built environments of the future. 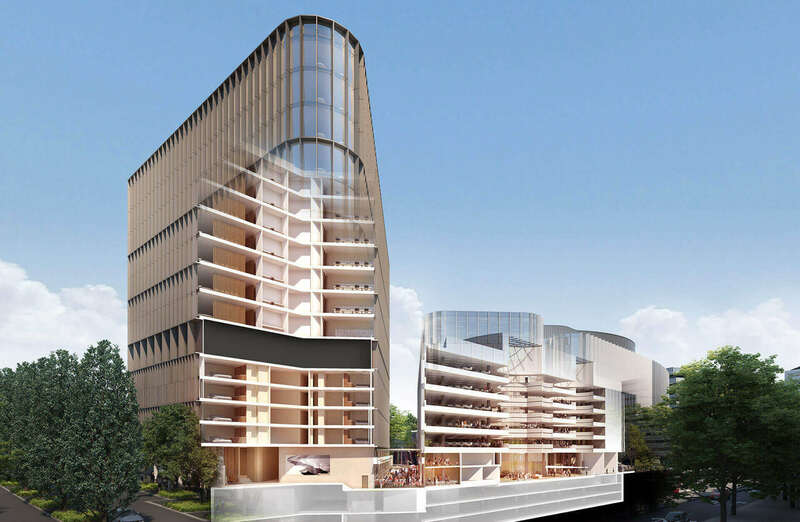 JLL has been leading the commercial property market in Australia for over 56 years. 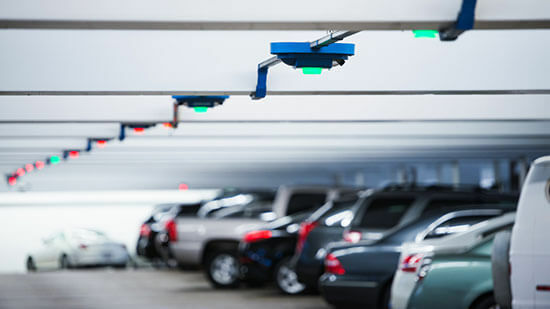 In Canberra, its sales and leasing teams have extensive experience across office, industrial and retail. 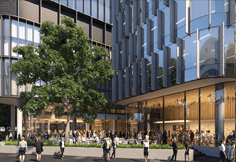 JLL understands the nuances of the Canberra market that only come with being on the ground, including comparative sales and rents, demographics, location benefits and Canberra-centric tenant expectations. 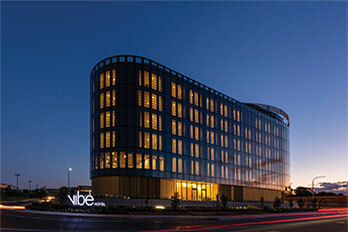 The Vibe Hotel Canberra Airport is getting worldwide recognition for its design and aesthetics. 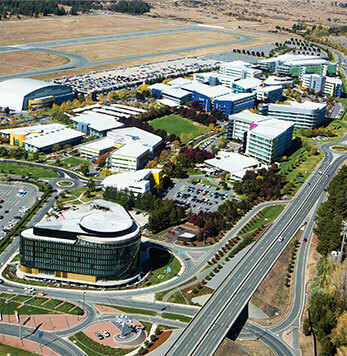 Located at Canberra Airport, Brindabella Business Park is an award winning master-planned precinct consisting of 25 commercial office buildings. Canberra Airport now represents one of the most significant infrastructure projects for the ACT and surrounding region, with a growing role as a national transportation hub, commercial business park and retail destination. 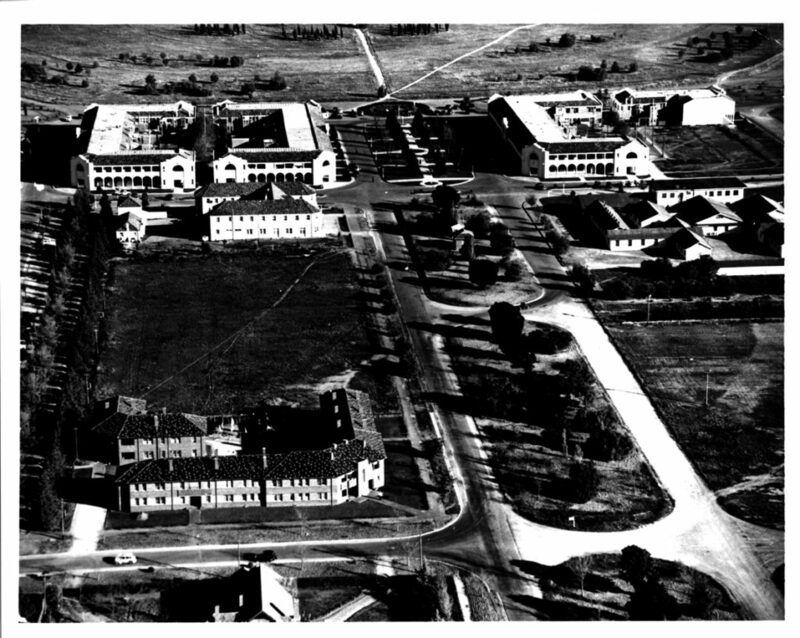 Capital Property Group has a deep history dating back to the foundation of Canberra. 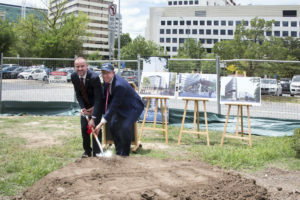 Executive Chairman of Capital Property Group, Terry Snow’s long family history in the ACT will come full circle with the development of Constitution Place in Civic. 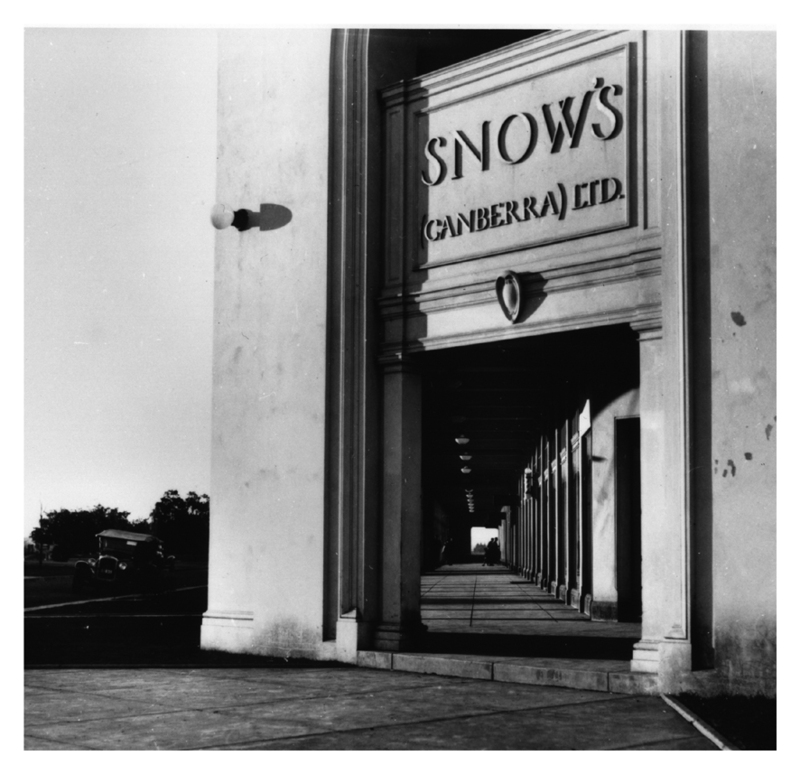 Terry’s grandfather, Eli Robert Snow, opened one of Canberra’s first general stores called ‘Snow’s’ in the Sydney Building in 1927—just a few hundred metres away from where Constitution Place is now under construction. The Sydney Building, located in the historical heart of Canberra’s CBD, was one of the first commercial buildings constructed in Canberra, and ultimately became one of the original properties owned by the Capital Property Trust. Capital Property Trust was a critical force in laying the foundation for future development in Civic and Barton and eventually would become the Capital Property Group. 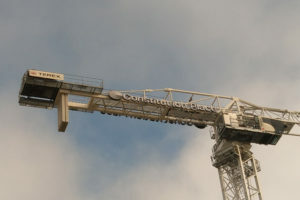 Ultimately it would build the foundation for the development of the Canberra Airport through the Capital Airport Group.